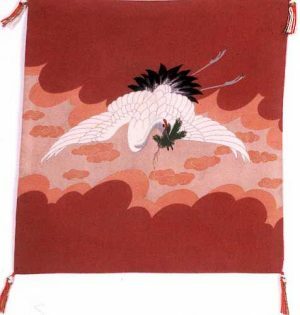 This is a marvelous Fukusa, or formal gift cover, that has been hand woven of Shioze Silk, and still retains its original tassels which were tied to reveal the era in which it was created. 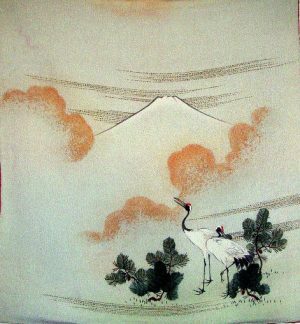 This is a hard-edged and very strong silk that was not easily produced in old Japan. It has been hand dyed using natural dyes and painted, with the artist’s signature and seal. 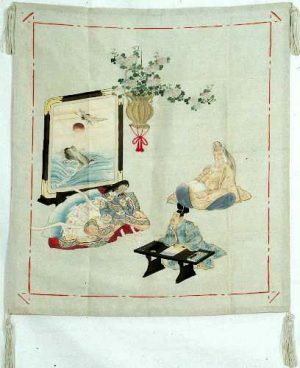 The design appears to be a woodblock on silk, a very unusual and rare form of decoration for a Fukusa. It is a very laborious and time consuming process favored by the upper classes when they commissioned their gift cover from famous artisans. 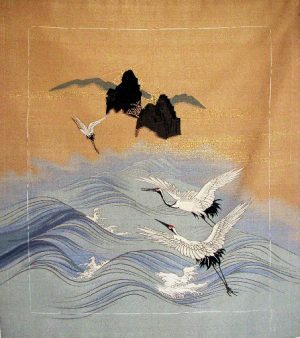 This is a unique Fukusa because of its size and the quality of the Silk. 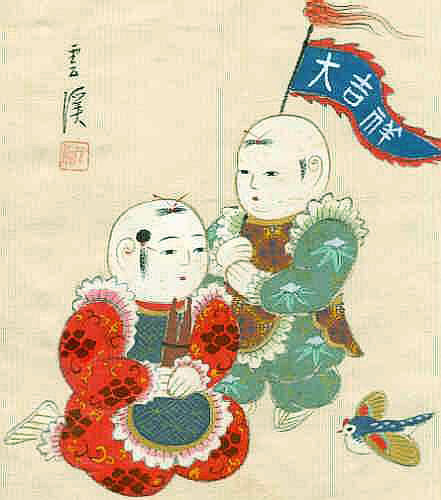 The rendition of children preparing for a festival is charming. 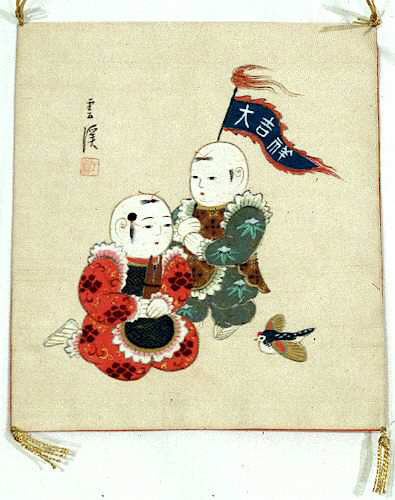 The details on their costumes are intricate and quite colorful, while the children themselves are painted in a style called “Karako” or “little happy people.” Their faces are whitened, and painted as if to portray them as dolls. 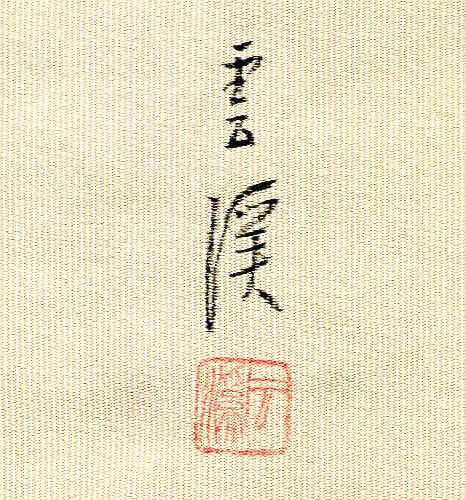 The Fukusa bears a signature, as well as the artists seal. Pure hand woven Shioze Silk, which is a fabric of a plain weave with thick wefts and predominant warps. It has been hand painted and signed. It is in excellent condition with some barely noticeable, minimal rubbing. The hand tied silk tassels have been tied in the design that indicates the age in which the Fukusa was created. 9 1/2" wide x 10 1/2" high,, not including the tassels. Fabulous wall hanging or framed art work. The Fukusa is actually 2 separate sides sewed together at the outer seam with the inclusion of the tassels which would also make an extraordinary pillow.